Written about by the ancient poet Homer, Greek wine is unforgettable. 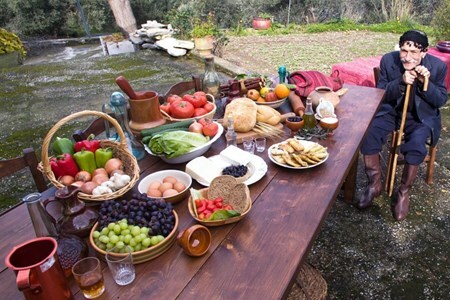 A wine tasting tour in Greece enables you to taste some of the delectable local food in the country, too. 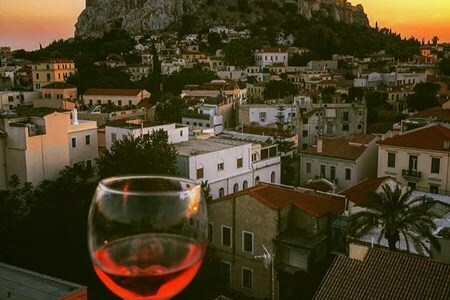 With some of the best views in the world, and gorgeous weather too, Greece is a great location to learn about the history behind some of traditional sweet wines. 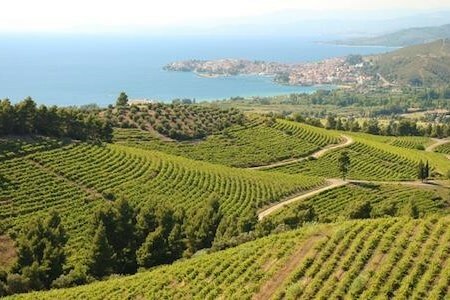 Visit the best wineries in northern Greece, starting from Thessaloniki. 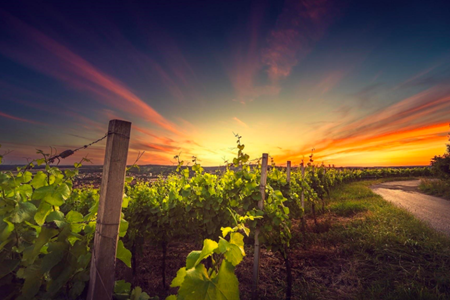 This full day wine and culture tour is yours to design with over 150 wineries in the north of Greece - we will ... morehelp you choose the best to visit! You will have the opportunity to speak direct with the wine makers, ask questions and get answers, and feel the wine vibes at the cellars! 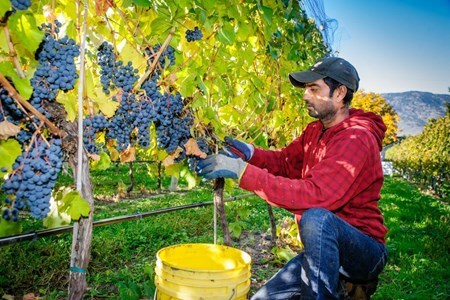 This northern Greece Wine and Culture tour comes complete with a personal guide and qualified driver - all you need to do is sit back and relax for the rest of the day! We offer 3 possible routes having as our center Thessaloniki, for you to choose from: the Eastern route, the Western route and the Southern. Starting from Thessaloniki, you will visit the best wineries of North Greece, in a 3-day tour of a tailor-made tour! The north of Greece has more than 150 wineries and we will help ... moreyou pick the best wineries to visit that perfectly fit your unique taste and style. During this 3 day Greek wine tour you will meet and speak directly with the local wine makers, get the opportunity to ask them questions, and feel the wine vibes at the cellars! You will stay at first class hotels located surrounded by beautiful landscapes and you will have the opportunity to explore northern Greece’s amazing nature. 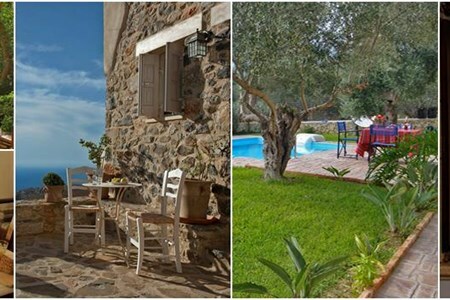 On this private tour you will dine in traditional Greek tavernas and restaurants enjoying home cooked Greek food paired with excellent local wines from indigenous grape varieties. We will come to pick you up from the airport and we will safely, drop you off at the same location and on time to get your flight. This 5 star tour is the best way to see Greece's wine country! This is the only private villa wine experience in Kefalonia and is a must-do for every wine lover visiting the island! For this private wine and cheese experience we will come personally ... moreto your private villa anywhere on the island of Kefalonia. Our professional wine experts will uncork for you some of the most impressive Greek wines paired with first class cheeses, pies and delicacies! Varieties like Assyrtiko, Malaguzia, Robola, Moschofilero, Vidiano, Xinomavro, Agiorgitiko, Limnio, Mavrotragano, Kotsifali, Mavrodafne, is not an easy thing to find in one place. This will for sure be the most unforgettable experience you have while in Greece! Enjoy a private romantic wine tour during your visit to the Greek island of Kefalonia! Visit one of Kefalonia's most well renowned wineries and enjoy a wine tasting of the famous Kefalonian. 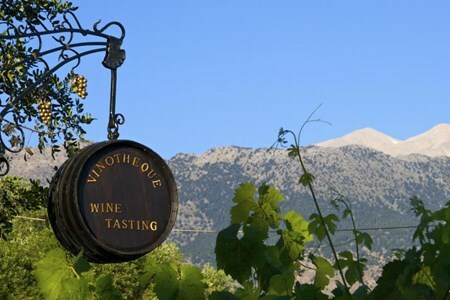 ... moreLater, visit a small vineyard at a fantastic location on Mount Ainos and view spectacular Kefalonian sunset, while enjoying some fine Greek wines combined with some artisanal Greek cheeses and delicacies! This is truly a one-of-a-kind romantic experience! Spend your day by visiting an excellent Kefalonian winery and an authentic Greek restaurant with an amazing sea-view, where you will feel and taste some of the most famous Greek wines combined with delicious Greek home-cooked food. Get an understanding of the golden principles that help you select great wines to pair with various types of food. Discover Greece's beautiful island of Kefalonia and indulge yourself in a personalized 3-day tailor-made tour packed full with local wines and gastronomy! Kefalonia has more than 6 ... morewineries, we will do our best to visit them all! 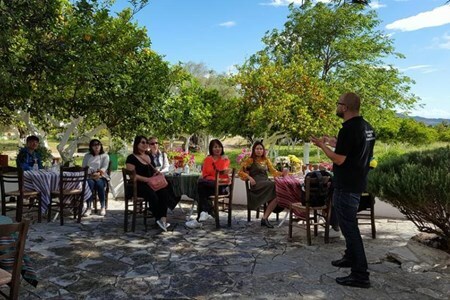 You will have a chance to talk directly with the local winemakers on the islannd, and have the opportunity to ask them questions and feel the wine vibes at the cellars. You will explore Kefalonia’s amazing nature and will stay in a four star hotel with gorgeous views of the island. Dining will be organized in Greek tavernas and restaurants allowing you to indulge in Greece's traditional meals paired with excellent local wines from indigenous grape varieties. As a cherry on the top, a special wine sunset picnic in a secluded vineyard on Kefalonia’s mountain (820m above sea level) will be organized overlooking the mediterranean sea! Crete has a wine-making reputation over the years. Since the ancient Minoan days until today, the Cretans have produced, stored and traded excellent wine, making the renowned Cretan wine brand. The Crete's terroir enables the production of a variety of grapes, which make high-quality wine. On this excursion, visitors will have an opportunity to taste wines from different regions of Crete and discover the wine varieties including; Vidiano, Vilana, Kotsifali, Mantilari, Liatiko, and Romeiko. The first tasting will be at the center of Chania. Then a mini-walk tour around the streets and decorated neighborhoods followed by a food safari. As we walk through Chania market, we will taste some famous Cretan products like "graviera," "anthotiros," "mizithra," and "kalitsouni"
Afterwards, we will visit a wine shop with a specialist, who will guide us on a remarkable journey of the past. We will taste different Cretan wine varieties from Heraklion, Lasithi, and Rethimnon, learn about wine producers of those regions, as well as particular wine-making processes they use. We then drive to the East of Chania to visit a traditional family winery, situated in the foothills of the White Mountain. This family winery produces original Cretan wine and has a beautiful view of the White Mountains and an impressive art gallery. There we'll find specialists of the awarded ''Romeiko'. It is produced uniquely with a mind-blowing taste. We will also see an ancient treadle, walk around the herbs garden and see the cellar in a cave and cylinder bottles covered with rocks. Take the time to fall in love with Greek food and wines in a completely new way, when you treat yourself to a luxurious wine tasting sessions. 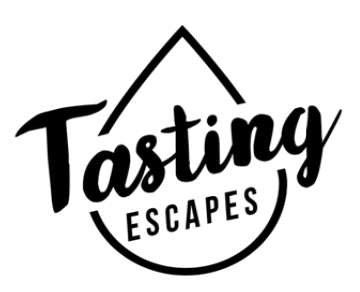 Whether you’d like to learn a new skill, ... morediscover the latest taste sensations or treat someone special so that they will never forget, we have a wonderful experience to satisfy your thirst. Perhaps, you prefer to visit the restaurant with a culinary course, taught by the famous chef. We will even help you source the perfect liquid accompaniment with a delicious and informative wine tasting. This intimate Santorini wine tour is the perfect opportunity to see Greece's famous circular vineyards planted in rich volcanic soil. The native grape varietals are only one part of what gives Santorini wines their reputation. The art of winemaking has been preserved on Santorini for centuries and a special cuisine has grown up to perfectly complement these delightful beverages. Explore this heritage for yourself in a small group tour. We feel that the best way to experience the famous island in the world is hanging out with someone who’s knowledgeable, personable, and accommodating. Our guides meet and exceed all criteria and will go above and beyond to provide you with the best experience while in Santorini. We are a proud Greek small business. We have been providing service and creating friendships that cannot be matched by any large-scale corporate tours. Week Saturday to Saturday in May - June - September & October Day 1 Arrival – SATURDAY Your magical holiday begins when a driver arrives to transfer you from the airport to your ... moreluxurious hotel. Watch the stunning landscape sweep past and then once you arrive, unpack your belongings, say hello to the other guests, and explore the gorgeous area a little if you wish. Welcome to Santorini! Enjoy a free evening to already explore the magic area at your leisure. Dinner on your own. 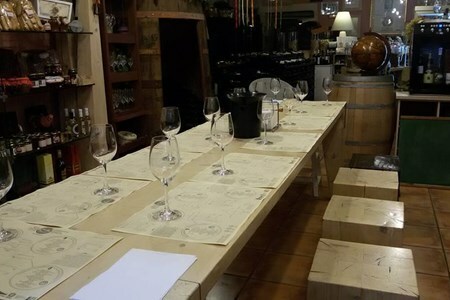 Your wine tasting and wine making classes today will be combined with expeditions to two amazing sites. The first just may well be the site of Atlantis itself near a Bronze Age site by the topaz blue Aegean sea, and the second is an ancient monastery which has some seriously beautiful views. The tour will finish with a wine-tasting. Light lunch will be served at the end of the tour. 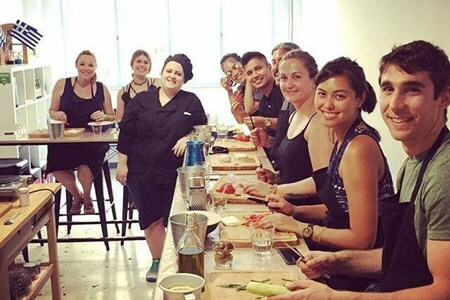 Santorini is renowned for its delectable Mediterranean cuisine, and today you will be taught to make some classic Greek dishes by an expert local chef. Enjoy some traditional Greek spirits including Ouzo, before lunch in a delicious nearby restaurant. The afternoon is yours to spend as you please, after the morning's cookery course, and we recommend some swimming in the red or black sea. Enjoy a fresh-cooked lunch at a traditional restaurant. Today, we head out into Santorini's beautiful countryside to learn about how its mineral-rich volcanic soil is responsible for the unforgettable tastes of local wines such as Assyrtiko, Nykteri, and Vinsanto (famed for its sweetness). Of course, you will be tasting these wines during the day too. 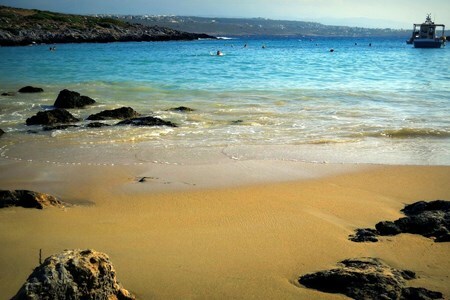 The afternoon will be free to enjoy the beauty of the island or to relax. Spend this day however you please: eating in local restaurants, lounging on the beach, strolling through the wonderful scenery, or swimming in the sea. Unique Cooking! Santorini, like all of the Cycladic Islands, is a place where fava beans, tomatoes, olives, and other ripe and juicy foodstuffs grow in abundance - often with very little water. 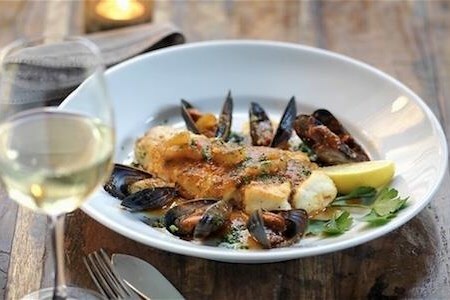 Today's cookery course will enable you to get to grips with some cherished local recipes. 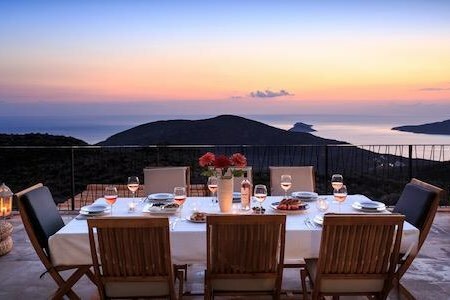 You will be cooking an authentic Santorini meal, which you can then enjoy with some delightful local wine. 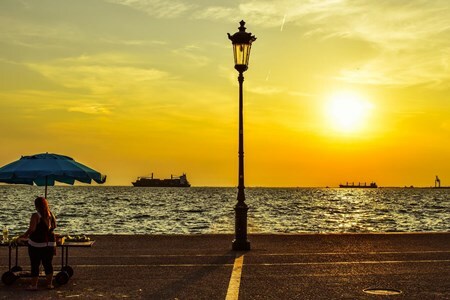 Spend the main part of the day however you wish (perhaps by shopping for souvenirs), then let us whisk you away on a sunset sailing experience. Watch the sun break over the towering volcanoes and swim in a bubbling, restorative hot spring. Dinner included will be served on board. Today we will take you home. As Santorini is an island, your departure and transfer times will be dependent on local ferries. After breakfast, Private Transfer to the port/airport of Santorini. Santorini is an island, transfer times are dictated by the ferry schedule. You may travel by boat from Athens Port (Piraeus). It is a 6-8 hour journey. 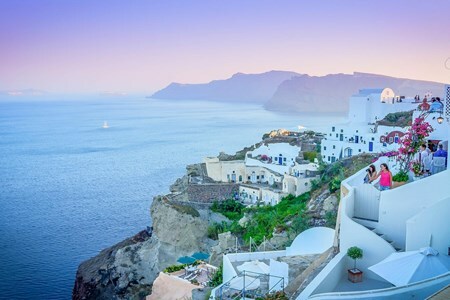 Please note that you must organize your arrival flights to be in Santorini on Saturday ( through a direct flight or a connection flight via Athens International Airport). If you cannot keep flight times within these parameters, plan to spend extra time in Athens before and/or after your vacation. Also, the cooking lessons and the escorted/guided tours will be done English. Visit and prepare a delicious three-course, conventional Greek food here with one of our fantastic, neighborhood cooks. Discover the methods to organize a range of regular dishes; ... moretypical appetizer, salad, dessert and a main dish. 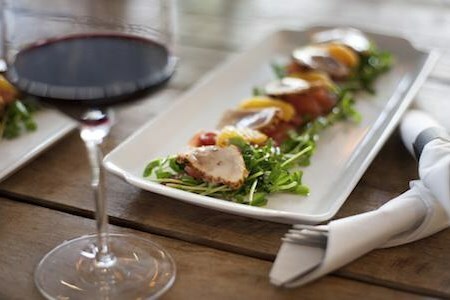 The meal comprises of 1 wine glass/1 soft drink glass in addition to 1 shot. Additional drinks can be bought for a small fee. We make use of fresh ingredients purchased from the locals, which are provided from across Greece. If you want like to be with us for a morning trip or visit the market ahead of your class, it is possible for only €6 per individual (interval is half an hour; offered Mon-Sat only excluding national holidays). 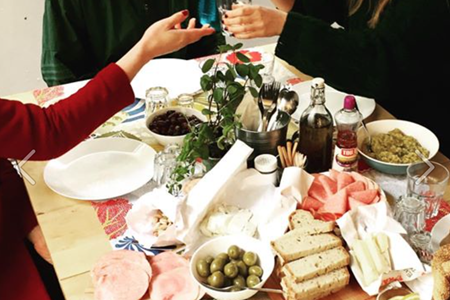 You need to join some of our tour managers as you tour the Athens’ Food District. The Athens’ Food District is an off-the-tourist trail area that is perfect to discover the actual ... moreside of Athens and its superior food scene. You will get the best experience of Greece from the fresh produce market stalls located in Agora to the small cafes and shops in the streets surrounding Agora. During your tour, our tour manager will let you know of the Greek cuisine, where the produce comes from, and how they are used to make the delicious cuisines across Greece. 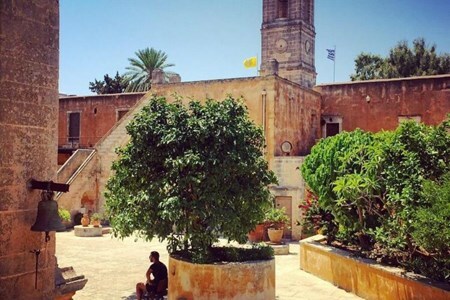 The locals will tell you stories and their history while you gather some items for a brunch before we get back to the Greek Kitchen to make some food in our garden.